War Among the Stars...Battlefleet Gothic! HomeEditorialsWar Among the Stars…Battlefleet Gothic! 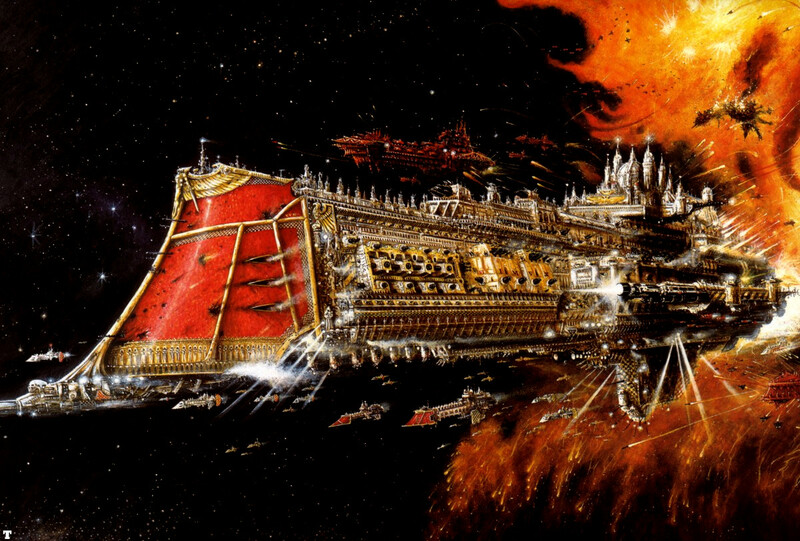 War Among the Stars…Battlefleet Gothic! Greetings Wargamers and Hobbyists, and welcome to the Gothic Sector. Following on from my last blog post about reinvigorating some of the older specialist games, I have recently been trying to drum up interest in playing Battlefleet Gothic at our gaming club; M.A.D. Wargames at Asfordby, East Leicestershire. The desire to take to the void has been fuelled in part by my recent involvement in the Dropfleet Commander Kickstarter, but also in another game that I would like to find out more about which is Sky Relics. More to follow on that in later posts. Now that the Dropfleet Command Kickstarter is over, I have at least six months to wait for that bundle to arrive, so in the meantime; Battlefleet Gothic! The first stop on my journey was the ship yard to assess the readiness of the fleets. Because not many of the guys at our club have any miniatures for the game, we would be reliant on the collection I could muster up for any early demo games. Thankfully I collected two fair sized fleets for the core factions in the game – The Imperium and Chaos. The Imperial Fleet was about one third larger than the Chaos Fleet, but because both fleets were upwards of 15 ships including most classes of vessel, this shouldn’t cause a problem. A few months ago, I did a trade with a chap for everything that remained of my once sizable Epic collection (the large Space Marine and Ork armies I had were traded away a couple of years ago to fund my Ogre Kingdoms army – over 4000 points of gut plate!) which was over a dozen plastic Knight models and a Warlord Titan, plus some classic metal Space Marine Dreadnoughts. I return I received ten Cruisers, eleven Escorts and a nicely converted Grand Cruiser model. This comfortably doubled the size of my Chaos fleet in one fell swoop! You can buy Battlefleet Gothic ships second hand via ebay and other routes, but they tend to fetch a premium, but there are also some companies out there who produce ships that could be considered for stand-ins. After all, as long as you know what each of the models is, and that your model selection remains consistent, that’s all that matters. As I have gone in for the Dropfleet Commander Kickstarter, I am set on the idea of generating rules for those models when they arrive for use in Battlefleet Gothic, and vice versa for the BFG models in Dropfleet Commander as well, fully invoking the ‘Rule of Cool’ to allow me to make full use of all my space faring ship models. Now that we have ascertained that numbers of models will not be a problem, another thing that I have been looking at and has been discussed on the Battlefleet Gothic Facebook Group page is the concept of ‘Ship Cards’. This is something that originated with my in games of Man O’ War, which back in the day provided a card ship template on which counters could be placed to record damage, fires, outbreaks of Nurgle’s Rot etc. Fast forward one and a half decades and some genius came up with the idea of creating a smaller ship card (the old ones were quite big, and could take up half as much space again as the playing area), which are slightly bigger than playing card sized and laminated, so that you can mark damage onto them with wipe clean markers. Brilliant! Needless to say when I was on a Man O’ War revival trip a few months ago I printed and laminated cards for my entire collection, and they have proved to work extremely well in games. Once my thoughts began to shift to space battles and Battlefleet Gothic in particular, I immediately thought it would be fantastic to have something similar for BFG, which in many ways works very similarly to Man O’ War with regards to battle damage records etc. There are Fleet Record sheets that come with the game, but these are more like a single page roster sheet which can be used to record hits suffered, but not the effects of critical damage, which is not really the kind of thing you want to forget about in the heat of battle. I wanted a full on set of ship cards. I had a good look around on the net at the cards that some other people had generated, and without wishing to offend anyone, the cards I found didn’t quite tick all of the boxes I wanted to. They didn’t match the clear image I had in my mind about what I wanted the cards to look like, though they did include some nice elements. In the end I decided that the only way to get what I wanted was to generate my own set of cards. I have a fair bit of experience with this kind of thing and plenty of experience using Excel, so just went for it. 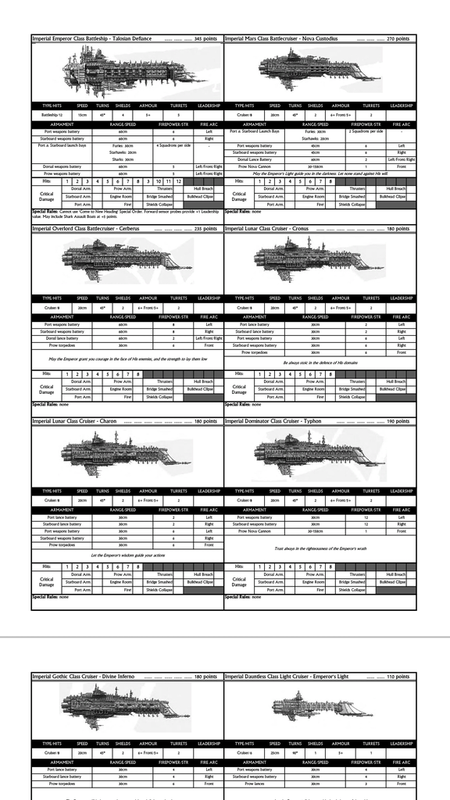 It took several hours and a lot of tinkering with layout and format, taking on board feedback from some of the guys in the Battlefleet Gothic Facebook Group, until eventually I had a set of personalised ship cards for every ship in my collection, complete with ship name. The name of each vessel printed into the card is one thing that is lacking from the Man O’ War cards (Man O’ War ships don’t generally have bases to write names onto anyway), and being able to tie every ship directly to it’s damage record would make life easier. The cards I eventually created are sampled below. My plan is to print them onto card and laminate them, so that I can mark damage in games, and then wipe them clean after each encounter. The one thing I was then asked if I could do by the gang over on the Facebook Group was to create a set of cards without my own personalised ship names on them, that could be used by anyone to add their own names to, so that it what I did – I created a set of cards for the Imperium and for Chaos which included a card for each of the ship types in the main rulebook. After all the time spent on ship cards – which are more of a wish than a requirement – I needed to make sure that I had important things ready, like the rules and a playing surface. I have the main rulebook from the boxed game, so that was covered, as well as about four reference cards, order dice and the various tokens and blast markers, though these are all available online to download if you have a look around. You can even download the templates for asteroids and planets for the game. 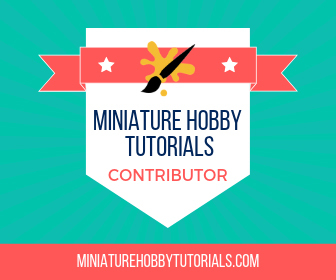 In most cases and for most games, and something which is proven over and over again when you see what has been generated by the community, gamers can produce their own gaming aids with a little time and effort for any discontinued game you want to try out. We have the power. The tag on to the main rules that most players are using these days and which helps to iron out the few kinks in the game and address a couple of issues is the 2010 FAQ and Compendium document, which is also available online, and which I already have, so the rules are all covered. The final piece of the puzzle was the playing surface, which of course could always just be the bare table top or even the floor, but something that looks a little more appropriate is always going to improve the gaming experience. I already have a hand painted DIY playing surface painted onto the backs of a couple of plaster boards, which looks just fine, but due to their shape and size are not really suited to being carted around to the games club in the back of the car. I needed something more flexible and robust. I looked at quite a few professionally produced gaming mats – with games for both Star Wars and Star Trek (amongst other games) out there, there are plenty of mats to choose from, but at upwards of £27 plus postage for a 3ft square mat (about two thirds the size I wanted, which would mean I needed to buy two, or settle for a reduced gaming area), I decided it would be sensible to go with something much cheaper in the short term until the club had at least a small number of regular players. In the end I plumped for a simple and cheap black cloth from my local furnishing store, which was plenty big enough for even the largest battles. It didn’t look amazing, but would do the job for now. After that though, I remembered that I had a pack of vinyl floor tiles left over from replacing our bathroom floor, which are a dark grey with lighter patches not hugely dissimilar to deep space with feint gas clouds, but without the stars. I have decided that these look just fine as a base, they are each only 2ft by 1ft in size and so would be easy to transport, but make up a gaming area of 4ft by 3ft, and cost me nothing as we already had them lying around. Those are the surface beneath the Chaos fleet in the photo earlier in the post. I plan on adding stars and some gas clouds of other colours, but for now they will be better than the black cloth and are ready to go. For now, that’s where I have got to. Everything is in order, there are one or two guys at the club expressing an interest, now I just need to set up some demo games. In later posts I plan on reporting back how I get on with BFG at the club, and some more photos of some terrain and my Imperial fleet. Until then thanks for reading, and good hunting. Nice work on those cards. They look great. I also commend you for stepping up and creating interest in your group for the game. Battlefleet Gothic is a game that’s always interested me but I’ve never jumped on it. By the time I got into 40K, and thus the universe, the game was nearly dead to GW, and shortly after they removed it. With all the talk of reviving these specialist games, I’ll have to take a another look at it and see if the guys where I play have interest. Cheers buddy. I always loved the aesthetic of the game, and the background material is amazing. Even if some gamers prefer other rule sets, Battlefleet Gothic will always be a winner for me. I second thor love the cards. Something I need to try doing for my stuff. Actually would love them blank even so you can just write the stuff in. I know with the 4 different fleets in my house now that would be so use full. Now I want to do it for other games too. Cheers, glad you like the cards. I could perhaps work out a totally blank one with just lines on, but with the huge variation in weapons between ships it would be pretty much be a card with lines on it. Would it be more useful if I make the Excel version of the generic cards available so that you can amend it as you wish? Not sure to be honest but would be helpfull just to see the base excel settings so I have a better idea what to tweek. I am horrible at excel actually, haven’t used it in 10+ years. What is it that you want to produce? I might be able to do it for you. I would like to make slime down info cards for my oldest (5) actually. I have been teaching him to play various games with simplified rules. For BFG though I plan on just doing it for my 4 current forces. First, Merry Christmas! Next. I have Been thinking now I have established the format of doing a set for each of the main rulebook races. Would you be interested? Honestly most of my stuff is non main rulebook. I am willing to help if you need it thought even if its just proofing. At the moment I have SM, DE, FW TAU and Nids. 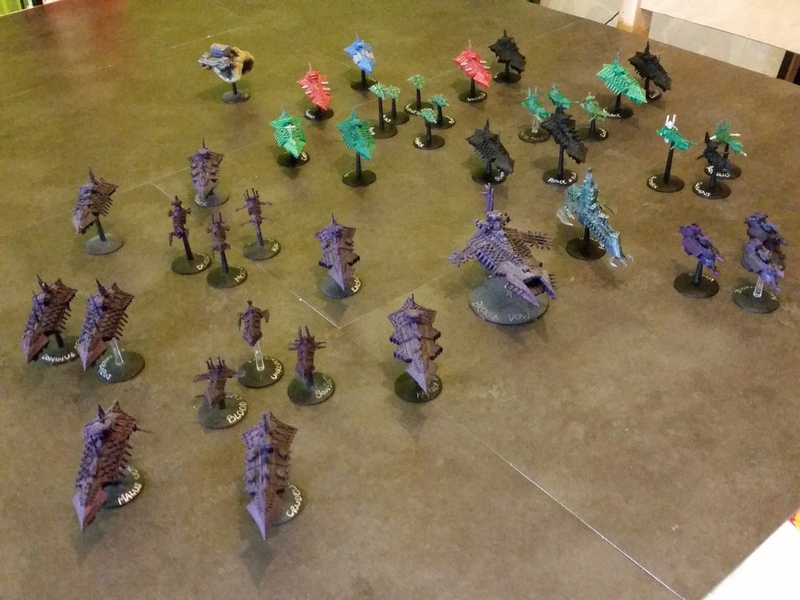 Space Marines & Dark Eldar should be really quick to knock up – they only have a handful of ships each. I had a look at Nids and they should work ok, but will need to list all the weapon options. Is that Forgeworld Tau? Yeah FW Tau , I have all the files if your interested. Hey buddy – Tau is the only one I don’t have I think, if you would be so kind.